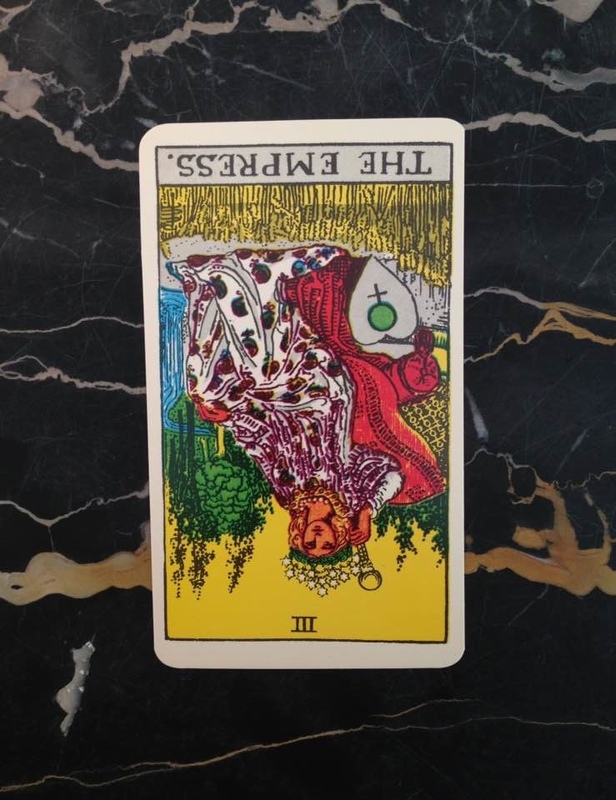 The Empress comes up reversed today to remind you to take time for yourself and your needs. You may have been running yourself ragged lately trying to care for others and nurture their growth. But you may have neglected your own self-care during this period. “If Mama ain’t happy, ain’t nobody happy!” For today, switch the focus to yourself - take a solitary walk, get your hair done, spend an hour or two with a good book and a cup of tea. You need to “refill the well” in order to keep taking care of others. This card is also associated with creativity and bringing new ideas and projects into the world. The reversal suggests that you could be encountering some kind of creative block. If so, you might be pushing yourself too hard to achieve your goals. Back off and allow yourself to have breathing room. This will enable you to see the project in a different light when you eventually return to it.